I received the comments below from childhood friend Bill Browett and thought that EDT readers would enjoy his insightful perspective on the Canadian Museum for Human Rights and Human Rights. I have received many other comments from readers which I have added to the end of the blog. I hope you will enjoy this revised blog. I too love seeing the artifacts, but mostly when I go to museums and art galleries what I am doing is looking at the stories that are told … the meta messages … Stories that reveal the attitudes and aspirations of the curators, owners, and artisans in both the artifacts and messages. Public institutions tend to tell institutional stories, and institutions pretty much by definition are conservative. Dissenting opinion is often. The Canadian Museum for Human Rights (CMHR) is no exception, as noted by “WB”. Canadians have played pivotal roles in the progress of Human Rights … e.g., the creation of the UN "Universal Declaration of Human Rights” … I am all for celebrating both the positive contributions … However, these celebrations are empty and appear only as propaganda, if the institutions do not reconcile and work to reconcile Canadian failures, and entrenched cultural bigotries whether colonial and tribal [e.g., European biases] histories, e..g, genocidal policies, such as the Residential School program for First Nations children, and failure to include reconciliation in the Truth and Reconciliation process that is on-going. I will visit the CMHR if I manage to make it to Winnipeg. 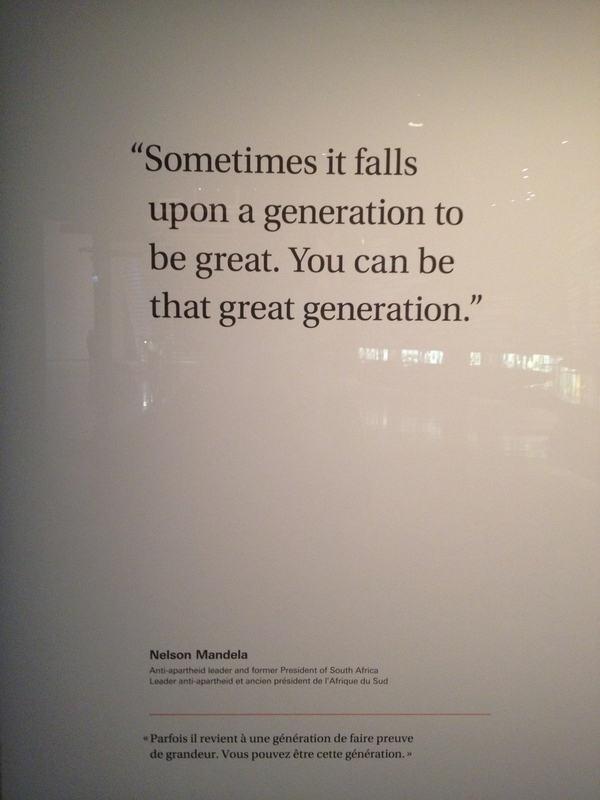 Nonetheless, if the website is any indication, https://humanrights.ca/exhibit, this museum has failed to capture not only the rich, and on occasion dark history of the human rights struggles in Canada, but the CMHR has not put into a global context the Canadian struggles and contributions. … We are left with what I call a “happy face” institutional interpretation … sanitized and romanticized versions of the past. If the CMHR, as the website suggests, has very narrowly defined the history of Human Rights, as I suspect, … then it has done a significant disservice to the many, many Canadians who have deeply sacrificed in these struggles, and worse does a disservice to current and future generations by suggesting that there are not serious conflicting histories of what Human Rights are. To no one’s surprise, and as someone who has been an active participant in the Canadian peace movement all his adult life, the content in the "expressions” section is a very narrow definition of how "Canadians have defined, made and kept peace at home and around the world." For many of us, on many levels, Human Rights struggles continue both in Canada and around the world. Appropriately, this is the season for such reflections. Canadian Museum for Human Rights: Money Well Spent??????? Indeed, the building is a new landmark and tourist attraction for the City of Winnipeg and another wonderful new addition to the city’s urban meeting place, The Forks, which is on par with places like Vancouver’s Granville Island. On a recent visit to the Winnipeg, I had a chance to tour (two plus hours) the CMHR. And while I was initially impressed by the design and the exhibitions, something seemed to be wrong. At first, I couldn’t put my finger on it, but gradually I began to question whether Winnipeg - and Canada for that matter - got full value for the $350 million cost. CHRM looking east is a strange juxtaposition of shapes. The "Welcome Wall" video has a series of shadow figures who quickly enter write the word "welcome" in various different languages and then exit. The entrance to the first exhibition hall is along this dramatic and sombre hallway. One of the things I associate with great museums and art galleries is allowing visitors the opportunity to see things you can’t see anywhere else. CMHR has very few unique artifacts consist mainly of text and videos. In many ways, this museum’s experience is like walking through a huge documentary film at your own pace. This got me to thinking again perhaps a series of documentaries could have worked just as well. I was also struck by the fact there wasn’t much “new” in the museum; most of the information is available to anyone with a computer and Internet. One really has to rethink the role of museums in the 21st century. Interesting to that the museum’s website has no video of the exhibitions – not even a short “teaser “one. I can’t but help but wonder if they realized that if they did a good video tour, there would be no need to go to the museum. There are quotes from individuals scattered throughout the museum. The first exhibition hall is dominated by a wall that documents the history of human rights on the left and video on the right. The wooden basket at the end is a small theatre space for a video. Detail of the history wall. Several of the exhibition halls are dominated by a large billboard like video screen with words and images. Children loved the interactive floor of colour. As each person stepped onto the floor they were surrounded by a ring of colour and as you moved closer to others your coloured rings joined. If there are enough people, and you worked together you get the whole floor to light up. Any museum that is focused on human rights is going to be controversial, and if it isn’t, it is not doing its job. This is an even larger issue when it is funded by the Federal government, with the many political considerations and constraints. This museum needs much more in the way of interactive and thought provoking exhibits. There is no shortage of topical human rights issues in today’s world; it simply takes the freedom and courage to address them. One of the most memorable exhibits is Jamie Blacks’ The REDress Project (see photo) that looks at violence towards aboriginal women. Winnipeg and Manitoba have the largest First Nation and Metis population of any city or province in Canada and this population is rising at four times the overall rate of the city and province. Governments at all levels are struggling with First Nation housing, education, health and crime challenges that are not being addressed. There is no shortage of aboriginal issues that could be dealt with in this museum in a thought-provoking and illuminating way. Another of Canada’s most pressing current human rights issues is the chronic unemployment or underemployment of disabled Canadians who want to work but can’t find job. Perhaps the money might have been better spent on job creation programs for the disabled. And there are many other topical issues of today – violence against women, increasing government surveillance of the general population, the militarization of police forces, the role of women in today’s major religions, abuses of civil rights under the banner of the fight against terrorism, and on. This museum could be a beacon of light if it had some ideas for solutions. Perhaps some of the space could be utilized for the topical issues of today, and allow outside organizations could develop the exhibits without bureaucratic or political interference. The museum needed to focus more on how could we move from awareness to action. Now that would be a museum worth a visit. Jaime Black, The REDress Project, 2010 to present, empty dresses collected by community donation with digital backdrop. The REDress Project is an ongoing public art installation. It is a response to the overwhelming number of missing or murdered Aboriginal women across Canada. The installation seeks to engage the public in discussion about the sexist and racist nature of violent crimes against Indigenous women. Photo of residential school. The information panel included the following quote: "I want to get rid of the Indian problem...Our objective is to continue until there is not a single Indian in Canada that has not been absorbed into the body politic..." Duncan Campbell Scott, Deputy Superintendent of Indian Affairs, 1913 to 1931. While the vastness of the building is part of its provocative statement, one can’t help but wonder, why there is so much empty space. My guess is that less than 50% of the buildings’ space is utilized for exhibitions and offices. This means incredible cost for heating and air-conditioning the building, especially with Winnipeg’s long cold winters and hot summers. One rumour I heard was that it will cost $100,000 a year just for window cleaning. One of the biggest issues facing most major museums across Canada today is operating cost; this is not going to be efficient building to operate. The interior of the museum is dominated by a floor to ceiling atrium that filled with ramps that take you from floor to floor. The luminous walls are an interesting visual metaphor for the "enlightenment" that the museum is trying to foster. While the ramps and atrium create a very haunting and perhaps uplifting space, it takes up 50% of the museum space. The glass walls from the inside are an intricate and rhythmic pattern that fragments the visitors view of the city. Even when you look up to the tower, the view is blocked by all of the mechanical pipes and girders - there is no sense of awe that you might expect. It is strange to have a glass wall that is blocked by so many lines. After a few days of mulling my CMHR experience over, I continue to think the $350 million spent to build a human rights museum and probably another $10 million per year to operate it, might have been better spent actually dealing with the human rights issues themselves. I would highly recommend that if you are in Winnipeg that you visit CMHR and decide for yourself if it was "money well spent!" Your blog is written rather mildly. Perhaps the CMHR building could be repurposed as Museum of the Scams We Have to Endure in This Life: the CMHR structure, the Edmonton Oilers & Toronto Maple Leafs, Bre-X, the music industry for the last 40 years, and now the Wildrose Party of Alberta. Blog that one please. I asked myself this question as well and I do believe it's money poorly spent. From my perspective, the internet allows us to reach people with almost all the content contained in the museums walls – focussing just a quarter of the money on digital media content, rather than a lavish physical monument could have led to something exciting. Now, granted that won't bring tourists. But, will the physical museum? I doubt it, especially not repeat visits.And don't even get me started on "starchitects" designing sculptures instead of functional spaces. How many human rights were violated to get all that steel just to tie the glass facade to the actual building. I fear that a third of a billion dollars was thrown down a rat hole. Question: what part of the money was raised from private citizens; from public companies; from “we the people”? Question: where does the $10M annual operation cost come from, speculate “we the people”? Question: how are they measuring the gigantic influx of tourists who are surely flying from all over the planet to see the museum? Anyway the real depressing part is the annual cost. Assuming a “cap rate of 5.5”, I make it that there is a negative valuation ($181,000,000) i.e. to lose $10,000,000 annually“we the people” have to deploy $181,000,000 of capital earning 5.5% return to support it, all that after deploying $350,000,000 that makes no return. Poor bloody taxpayer. Great and inquisitive article on the CMHR. Many people I know in Winnipeg have little interest in visiting the museum owing to a litany of issues. You mentioned the $10m in annual operating costs but I believe e the figure is pegged at around $26m give or take a mill. Why? No mention of Aboriginal genocide. No Palestinian causes represented. Only 4 of the 11 galleries completed? Why? ETC. "Controversial" starts with exclusions and lots of pink slips. The CMHR may be the first politically directed public cultural museum in Canadian history and that story has yet to be aired in public. 80% of Calgarians must live in the 'burbs. "When it comes to house prices, here's how much location matters" was the title of a Maclean’s article in their November 17, 2014 edition. The story looked at how Canadian homebuyers in Vancouver, Toronto, Montreal and Calgary can save thousands of dollars by buying a home further away from downtown. You don’t have to be a rocket scientist to figure that out. Most Calgarians and I expect those in other cities figured that out a long time ago. But it was interesting to see that in all the cities except Calgary, the savings increased with every 10 minutes further you lived from downtown. But in Calgary, the price dropped from an average of $665,500 10 minutes from downtown to $515,900 if you lived 20 minutes from downtown and stayed in the $500,000 to $550,000 range until you got 50 minutes away. Calgary’s big ring of established communities with similar housing stock in the 20 to 40-minute commute range to downtown, making them very attractive to downtown professionals with their higher than average salaries, stock options and profit sharing. Majority of Calgarians simply can’t afford to live in established neighbourhoods. Do the math and you quickly find out the majority of Calgarians can’t afford to live in the established neighbourhoods. A family income of $100,000 (Calgary’s median family income was $98,300 in 2012, Statistics Canada) will support a mortgage of only $300,000. I am told 3 times your gross income is a good benchmark for how much mortgage you can afford. If we assume a generous down payment of say 20%, that means 50% of Calgarians can only afford a house or condo under $360,000. A quick review of the City’s average home sales costs by community shows that in the southwest has no communities with an average selling price in the $360K range and there are only two in the northwest. In the southeast, there would are three or four, while in the northeast almost all of its communities are close to the $360K mark. I realize that even with an average selling price over $360K in established neighbourhoods there will be many homes under that price, but most of them will be smaller and in need of renovations that will bring the price over the affordability of most Calgarians. So While the City of Calgary wants to encourage more Calgarians to live in the established neighbourhoods in the inner city west of the Deerfoot Divide, most Calgarians simply can’t afford the $500,000+ cost. In fact, only 21% of Calgary’s households have an income over $150,000 which in turn would allow them to have mortgage of $450,000 which combined with say a $100,000 down payment would, get them a $550,000 house. If only 20% of Calgarians can afford to live in established communities, this means we have to accommodate 80% in the suburbs until we can find a way to build affordable housing for the average Calgarian in established communities. A street of older mid-century homes in one of Calgary's established communities on 50 foot lots. Typically they sell for $500+ to developers who knock them down and build a two story infill that is 1,800+ sf and better meets the needs of a modern family. A typical street of new infill homes in an established community. Prices start at $700,000 for older infills with new ones starting at $900,000. A new duplex in the inner city starts at about $900,000 as they are about 200sf larger than detached infills. These two new infills on a 25 ft lot sell for $900,000 for 1,800 sf. A similar size house and lot in the 'burbs sells for about $450,000. New condos in established communities start at $300,000 for studio, $400,000 for one bedroom and $500,00+ for a two bedroom. Why are we always focused on downtown? However, my biggest beef with this study - and most of these kinds of studies for that matter is they are only looking at the downtown commuters, which represents only 25% of Calgary’s commuters. For the majority of Calgarians, their decision where to buy a house isn’t governed by the commute to downtown, and that majority is getting larger every year. The City’s most recent job growth numbers from 2006 to 2011 show that downtown job growth was only 11.5% of the new jobs in the city, while growth in the City’s industrial areas accounted for a whopping 77% of the job growth. Is it any wonder there is a huge demand for homes and condos in the southeast and the northeast near the industrial and warehouse developments? In the ‘90s GO Plan, the City’s goal was to get people to live closer to where they work. That being the case, we need to build more communities near our industrial lands. The majority of Calgarians don’t need to live near downtown. Retired Calgarians can live anywhere; commuting time is not a factor. Many retirees I know have a goal of not leaving the house until after 9 am and being home before 3 pm leaving the roads available for those who need them. For those working in and around the airport, the ability to live in the far northeast and northwest means minimal time on the Deerfoot and a shorter commute time. Living east of the Deerfoot in the far southeast also results in a short, 10 to 20-minute commute for those who work there. With only one leg of the LRT serving the NE and none the SE the quadrant, workers in our major industrial, transportation and distribution centres have limited transit access and so the majority must drive to work. Unfortunately, the large tracks of land needed for industrial and warehouse operations don’t create the concentration of jobs in a small geographical area needed for effective rapid transit. Transit only works well for downtown, and a few other places like large employment centres (e.g. university, hospitals), but not for the majority of Calgary workers. Calgary’s urban planners and politicians must realize that today’s Calgary is as much a distribution warehouse city as it is an oil & gas downtown office city. Did you know that transportation & manufacturing (mostly east of Deerfoot) accounts for 125,000 jobs in the city, while oil & gas adds up to only 72,000? The NE with growth of the Calgary International Airport has evolved into a major economic engine for the city and could in the future rival downtown. Did you know that there are more hotel rooms in the northeast than in downtown? Why Calgarians love the burbs. While many young urban singles are willing to live in a 500-square foot home and pay $450+ per square foot that won’t work for families. A young family of four wants 2,000 square feet (the same 500 square feet/ person), which means they can not afford the $500,000+ an older established neighbourhood home, but the home doesn’t meet their needs. As a result, the majority of young Calgary families are forced to go to the edge of the city where starter homes or larger condos can be had for $300,000 to $400,00 and don’t need any major renovations. Did you know 67% of Calgary households have children and another 2.3% are multiple family homes? It is therefore not surprising 62% of Calgarians want a single-family home, 16% want a semi-detached home and only 22% desire a multi-family one (Calgary Growth Benchmark, 2014). Currently, there are more multi-family homes being built than single or semi-detached. Obviously, since supply isn’t meeting demand, the cost of single and semi-detached homes will only increase, making them even less affordable. I know some will ask, “Why does a family have to be raised in a single-family dwelling?” And, indeed some parents will choose a semi-detached or multi-family home but most desire a single-family home where the kids to run, play and make noise without disturbing the neighbours. As well multi-family buildings don’t meet the storage needs for an active family in a four-season city like Calgary. Suburban population growth from City of Calgary's "Suburban Residential Growth 2014 -2018 Report. Should we be pushing families to live in multi-family housing in established neighbourhoods they can’t afford and aren’t any nearer to work? I fact, if we get more people to move into the established neighborhoods west of Deerfoot, we will be encouraging more people to drive to work, creating more traffic issues as there is no effective transit to their jobs in the far northeast and southeast. Calgary needs more mixed-use, mixed density urban style development on the edges of the city like Brookfield Residential's SETON. Instead of trying to get more people to live in the established communities (where the existing community members don’t necessarily want more density and the majority of Calgarians can’t afford to live there anyway), we should focus on how we can improve the live/work/play opportunities in Calgary’s northeast and southeast quadrants of the city. In the 20th century urban thinking was to separate housing from employment centers so most of the housing was west of the Macleod and Edmonton Trails and the jobs east. By the late 20th Century the Deerfoot became the dividing line between living and working. In the 21st Century, we need to look at integration, not separation of live/work centres. We need to rethink the balance between inner city and suburban growth. We need to think of suburban growth as mega infilling projects. We need to think of Calgary differently, as a federation of five different economic zones - NW, NE, SE, SW and Inner City. Each one needs to have its own growth management strategy (land use, transit, roads, recreation, retail) that capitalizes on each zone’s unique aspects as a place to live, work and play. By Richard White, November 26, 2014. Intelligent infilling or Living in a bubble! After a fun day of exploring Rome’s hipster Trastevere district, we were getting hungry. So, as good flaneurs do, we started asking shopkeepers where to go to lunch with the locals. Following the suggestion to check out the restaurants along Via G.A. Bertani, we eventually ending up at triangular Piazza San Cosimato. To our surprise, the piazza was animated with a pop-up farmers’ market and a few permanent food vendors. We quickly spotted a butcher making some great looking fresh sandwiches. We stood in line to get one. When our turn arrived, we non-Italian speakers pointed and said “two.” A few minutes of charades later, we found out we needed to go to the bakery on the street behind the butcher to purchase the buns and then return to the butcher who would make us our sandwiches. Buns in hand, we were back at the butcher’s in a flash. While he was making our sandwiches, I realized I really wanted a beer, so in another round of charades, I asked if he had one. At first he pointed back to the bakery/grocery store, but then he nodded, smiled, grabbed a beer out of the fridge (I expect it was his personal beer fridge) and handed it to me. After paying up, we went to find a place to sit and enjoy our big fat, paper-wrapped sandwiches. The only obvious spot was the benches along the inside perimeter of the tiny playground at the tip of the piazza. Yes, Dads love to jump too. This Dad is showing off his jumping skills to the entire family. One sister is keen, the other is not so sure. It turned out to be the perfect spot, with dappled sunlight and a front row seat for the Cirque du Soleil-like performance by young children and their parents. As we ate, we were treated to a series of children hopping from one orange stationary, stool-like structure to another, spaced just far enough apart to make the jump difficult for younger children. It was too much fun to watch as dads helped their kids and older siblings helped the younger ones. We even had a couple of amazing performances by the dad – interesting to note that none of the moms gave it a try. It was amazing to watch how long the families jumped back and forth on this simple, low-tech playground equipment. The playground was also a great people-watching place. Locals of all ages and backgrounds came and went – it was a cast of characters. I was even befriended by a little guy with a soccer ball who wanted somebody to kick it back and forth, which we did for few minutes until his Mom said they had to leave (or at least I think that is what she said as she smiled and said “thank you.”) As we left, I discovered what must be one of the largest blackboards in the world. Somebody had cleverly turned the concrete retaining wall along the edge of the piazza into a huge blackboard, probably close to 100 feet long. I wish I had brought my sidewalk chalk. The seven stepping stools, who would think they could be so much fun. A good public space attracts people of all ages. Our friendly butcher, sandwich maker. This was definitely a far cry from the $250,000+ mass-produced, mega colourful playgrounds being constructed in parks in communities throughout Calgary. This playground was integrated into the community’s everyday pursuits with shops and restaurants surrounding it on all sides. Yes, there was a fence around the park, but there were no Playground Zone signs and no isolating the playground in a park far away from pedestrian, bike, motorcycle and car traffic. Rather, it was an integrated part of the everyday activities of a community that embraced outdoor urban living. It truly was a community meeting / hangout place. We love urban surprises and the Piazza San Cosimato ranks high as one of the best surprise of our 7 days in Rome. I have always believed that great cities have great parks. A recent visit to Dublin and its two urban parks reminded me or the importance of parks in creating attractive urban places for people of all ages and backgrounds. Until 1663 St. Stephen's Green was a marshy common on the edge of Dublin, used for grazing. In that year Dublin Corporation, seeing an opportunity to raise much needed revenue, decided to enclose the centre of the common and to sell land around the perimeter for building. The park was enclosed with a wall in 1664. The houses built around the Green were rapidly replaced by new buildings in the Georgian style and by the end of the eighteenth century the Green was the urban playground for the city's rich and famous. Much of the present day streetscape around the Green comprises modern buildings (some in a replica Georgian style) with very little from the 18th and 19th centuries. Today St. Stephen's Green is a green oasis for people of all ages and backgrounds in Dublin's bustling city centre. The current park was designed by William Sheppard in 1880. The park is adjacent to one of Dublin's main shopping streets, Grafton Street, and to a shopping centre named for it, while on its surrounding streets are the offices of a number of government office and the city terminus of one of Dublin's LUAS tram lines. At 22 acres, it is the largest of Dublin's Georgian garden squares, others include nearby Merrion Square and Fitzwilliam Square. There is a wonderful calmness in the park that invites you to sit and relax. Parks are great places to sit, chat and people watch. Fusilier's Arch is located at the entrance/exit to the park from Grafton Street. Built in 1907, it is dedicated to the Royal Dublin Fusiliers who fought and died in the Second Boer War (1899 - 1902). The Park's playground is very popular with the little people..
Stephen's Green has a wonderful pastoral ambience to it. The park is surrounded by high dense hedges that serve as noise and sight barriers, which contributes to the sense of an oasis and privacy. The Park is full of monuments, mostly formal statues, but this contemporary piece titled "Famine," by Edward Delaney caught our imagination. Parks make great spaces for public art, as they allow people to contemplate the artwork and move around it. I love that Baileys sponsored this information panel about the park and cathedral. The formal park is centred around a modest fountain. Every park needs a playground. Parks should appeal to people of all ages. This little guy turned a ramp into his private playground. Parks and public space should invite people to sit and linger. Liberty Bell, by Vivienne Roche occupies a prominent spot in the park. At first I missed this peace of public art at is was so well integrated into the park I thought it was just another table and chairs. The location is perfect for looking out at the park or the cathedral. The piece is titled "Havel's Place" was designed by Borek Sipek and is dedicated to late Czech President and human rights advocate, Vaclav Havel. There are several of these monuments around the world. Click here for more info. Another fun element of the park an area set aside to recognize the tremendous contribution made by writers who have lived in Dublin. It is truly amazing that one city could be the home for so many influential writers over such a long period of time. I am not sure if anyone has done the study, but I expect there is a direct correlation between the quality and quantity of urban parks and the vibrancy of the City's City Center. Think New York's Central Park, Vancouver's Stanley Park or Montreal's Mount Royal Park. Casel: Paris on the "on ramp"
Calgary’s Nikles Group took a huge risk in developing Casel condo on the corner of 17th Avenue and 24th Street SW. It is a strange corner as 24th Street heading south serves as the “on ramp” to Crowchild Trail; not exactly the most attractive place to live. It is also up the hill and west of the 17th Avenue action so not the most attractive walk to those living to the east in Scarboro or Bankview who have to cross the Crowchild Trail Divide to get to the retail. As well, it is not near a LRT station; though it does have good bus service to downtown. Despite the negatives, Nikles Group has made it work. Casel looking southwest on 17th Ave SW.
Casel, opened in 2011, could very well be the prototype for future condos in many Calgary inner city communities. It is unique in that it is nine stories with ground floor retail, second floor commercial and concrete construction. In contrast most new condos in Bridgeland, Marda Loop, West Hillhurst or Montgomery are four floors, with main floor retail, three floors of residences and wood frame construction. It is also unique in that the main floor retail is not your usual fast food joints, café and professional offices. The Nikles group successfully created a European market- like atmosphere with the cluster of Cassis Bistro, Market 17, J.Webb Wines and Bros Dough. Many of my retail colleagues had doubts that these upscale retailers would survive in this location, yet now three years later and they seem to be doing well. J.Webb Wine Merchant is Calgary's oldest and one of its most respected independent wine merchants. The design of Casel is also unique in that the two-floor podium is set square to the corner block location, while the seven floor condo tower is turned 45 degrees to the street. This clever positioning of the condo tower provides everyone with great views of either the mountain or the downtown. It also makes for a better pedestrian experience, as there is no nine-storey wall adjacent to the sidewalk. And thirdly, it means those living on the lower floors are further away from the street making them quieter. Casel looking from the navy base on the east side. At first I was disappointed by the dull grey and sliver façade of the building as seen from Crowchild Trail. Being a colourist, it seemed to me the addition of colour would have added to the visual appeal of the building. However, when I explored the area on foot I realized that the colour and material of the condo tower is similar to the HMCS Tecumseh Navy Base on the block to the east of Casel. Back story: Perhaps one of the strangest things in land-locked Calgary is that we have a navy base. Yes, in 1943 the Calgary Navel Reserve division was formed and named after a Shawnee chief who fought with the British and Canadian military forces in the War of 1812. The HMCS Tecumseh Navy Base has a similar facade as the Casel condominium building. 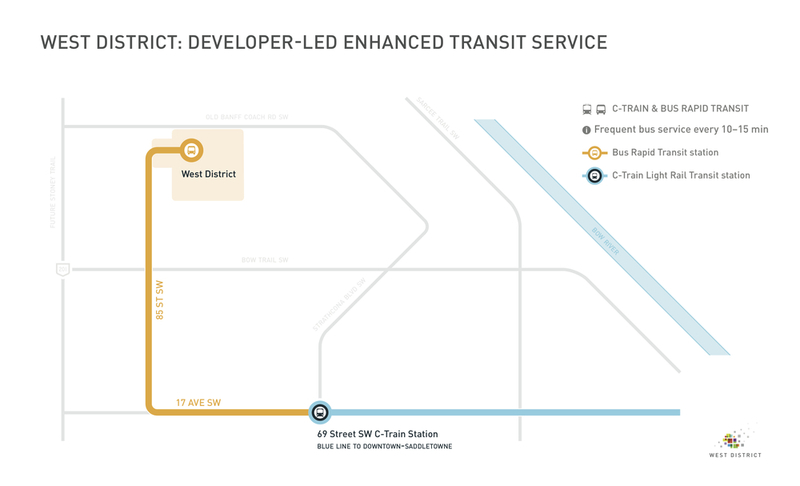 As the City of Calgary looks at how best to evolve our inner city communities from primarily residential to mixed-use walkable communities, we can expect to see more projects like Casel along key transit corridors with major bus routes like 17th Avenue and Kensington Road. An edited version of this blog appeared in Condo Living Magazine, October edition. Montana aka Nellie: What's in a name? I always thought the name Montana, for a condo on the 800 block of 15th Avenue near the hub of the 17th Avenue shops and restaurants, was strange. Perhaps it was called that because on a clear day looking south from the penthouse of this 27-storey condo you can see all the way to Montana. (A reader has informed me the name actually comes from the TV show Frasier, who lived in the Montana condo. Still doesn't make much sense to me, but makes for a more interesting story). A more appropriate name might have been “Nellie”, given it sits on the same block as the Nellie McClung house. She was one of the “Famous Five” women who successfully lobbied the federal government in the early 20th century for women’s rights. In fairness, the developer Pro Cura did recognize Montana’s proximity to Nellie’s birthplace by calling one of the condo designs Nellie. They also donated $1,000 from the sales of some of the units to the Famous Five Foundation. Calling it “Nellie” might have seemed a bit strange back in the late ‘90s when Montana was conceived, before it became very popular to give condos a person’s name - two recent additions to the Beltline condo line-up being Smith and Drake by Grosvenor. I expect the trend will continue as developers scramble to find curious names with some cache and brand value for marketing purposes. Montana’s design is an example of modified “wedding cake” architecture made popular in New York City in the early 20th century as a result of a 1916 zoning bylaw that forced developers to reduce a building’s shadows at street level. To do this, architects created buildings that were narrower at the top than the bottom, by creating distinct tiers stacked upon each other like a “wedding cake.” This gives the building a taller and slimmer profile so the upper floors casted a much smaller shadow. The shape also creates a number of interesting corner opportunities which ProCura exploited, creating not one, but 35 penthouse suites. Granted, the developer was a bit liberal in their interpretation of what is a penthouse, but hey, that’s marketing. For Montana, a penthouse is defined as just a larger suite with a corner view and expanded balcony - not just the top floor. Montana’s pyramid-like roof has been nicknamed by one of my colleagues as a “party hat” roof, as it has the same proportions as one of those silly conical-shaped hats people wear at birthday parties. Personally, I like the roof. I think it enhances the building’s elegant profile and is much more visually interesting than the flat rooftops of most buildings in the Beltline. I also think it enhances the building’s art deco character. Designed by Calgary’s own BKDI architects (who recently merged with Zeidler in July to form Zeidler BKDI), Montana’s exterior is composed of brick and limestone, two of the most timeless construction materials. It enhances the building’s link to the past when most of the warehouse buildings south of the CPR tracks were brick with some accent stone, including limestone. Good urban design often builds on the past with a modern twist, which is exactly what Montana does. Calgary: North America's newest design city. Calgary: Living in a bubble? Too often Calgary’s downtown and Beltline are negatively portrayed as a jungle of concrete and glass when in reality, there are numerous parks and gardens that make it a very attractive place to live. Sometimes it takes outsiders see this. For example, Vancouver’s Qualex-Landmark saw the potential to create something special on a site just east of the historic Lougheed House and Beaulieu Gardens and just a nine iron from the century old Ranchman’s Club. The result a charming condo called Calla. Calla looking from Lougheed House. Located in the heart of the Beltline at 14th Avenue SW and 6th Street SW, Calla is in a residential enclave with a mix of old homes, small walk up apartments as well as mid-rise apartments and condos. It sits on a quiet, tree-canopied street that could easily be a postcard for idyllic urban living. It neighbour to the west the 1891 Lougheed House christened with the regal name Beaulieu or Beautiful Place inspired calla’s design. The home was built on a 2.8-acre site on the southwest edge of downtown as a powerful symbol of Lougheed’s growing prestige and influence that would continue for the next 100 years. By the early 1900s, the estate included the residence, carriage house and stable, as well as a formal garden complete with swan sculpture fountain. Unlike most new Beltline condos which 18+ storeys, the 12-storey Calla fits right in with its mid-century 4 to 12-storey neighbour apartment and condos. At the same time, it makes its own architectural statement, with its terraced massing (Beaulieu Gardens also are terraced), floor-to-ceiling windows and glass balconies, contrasting with the mostly brick and concrete facades of its neighbours. Vancouver`s Rafii Architects have created a chic, clean, contemporary building that adds a new dimension to the streetscape, as well as the skyline for those living in the heart of the Beltline. It even has park homes (rather than townhomes) that open up right onto a 2.8-acre sanctuary of peace and tranquility in the middle of the Beltline. Indeed, Calla serves to link the beauty and ambition of Calgary`s past to that of its future. Could you live in a 600sf house? Seniors' housing with a difference? A pet peeve I have about condo developers is that they should do more research into the names of their condos and capitalize on the opportunity to use the names as part of the evolution of a sense of place. Two of the best examples of missed opportunities are the new condos facing onto Memorial Park – Park Pointe and The Park. With a little research, imagination and respect for the area’s history, they could have been called Andrew or Carnegie. Why? Because the historic Memorial Park library (the first library in Alberta) was funded by an $80,000 Andrew Carnegie grant (total cost was $100,000 in 1912). Or perhaps they could have been named after William Reed, Calgary’s first parks superintendent who created park. Or, maybe even Alexander Calhoun Calgary’s first chief librarian could have been the inspiration for naming rights. For that matter, one of the condos could have simply been named The Library. On a related but different note, from a design perspective, it would have been nice to have had a strong sandstone element in the exteriors of condos near as the ground level to pay respect to the historic sandstone Memorial Park Library building. Rendering of new The Park condo looking southeast from historic Memorial Park. It makes no reference in design or name that would enhance the sense of place the area or of 13th Ave SW as an important historical street. Another good example of a missed opportunity is the Montana, the relatively new condo next to the Nellie McClung House on the 700 block of 16th Avenue SW. Might have Neillie or McClung Place/Tower have been better? The Montana condo with the McClung house in the foreground on the left side. Hats off to the developers in Kensington who are doing a better job with names like St. John’s on Tenth St. (after the church that used to be on the site) or Lido (after the Lido Café, that was torn down after over 70 years of calling the block where the new condo will be built home). That being said, I am think there must be a better name for the community’s latest condo, Kensington. I can think of two – The Riley (the entire Hillhurst / Sunnyside/ West Hillhurst /SAIT area was once part of the Riley family ranch) or The Carpenter (given the site was home to the Carpenter’s Union Hall for many years). St. John's condominium on the site of the church of the same name. Plaque on the side of St. John's condo documenting a bit of the history of the site. I also question the name Savoy for a new condo in West Hillhurst, a community with a rich history. The Savoy name is most commonly associated with a five-star luxury hotel in London. I am not aware of any association with the site or the community. Grand Trunk, the original name for the section of land that it is located on, would have been a much more interesting and appropriate name. In my opinion, the same could be said for the Riviera now under construction in Parkdale. Savoy condo in West Hillhurst at the corner of 19th St NW and Kensington Road. I also don’t get the names for Calgary’s three upscale condos - River, Avenue and Concord. These names are simply too generic or have nothing to do with Calgary and they do not add any value to the sense of place of the communities they are located in. There are a plethora of new condos next to the downtown that could easily have had names that would have fostered a unique sense of place for both locals and visitors. These four condo towers are located near Stampede Park on Macleod Trail, in Victoria Park one of Calgary's oldest communities are called Sasso, Vetro, Nuera and Alura. What a missed opportunity to preserve some of the community's rich history? Taking it a step further, the same criticism could be said about some community names. What’s with the name “West District” in West Springs? Surely, there is a more meaningful name that is linked to the history of the land – West District could be anywhere. I also hate community names like Royal Oak, Tuscany or Maple Ridge. Lovely as they may sound, they have no relevance to Calgary. On the other hand, names like Quarry Park make sense (the site was once a quarry) and Silver Springs (it actually has springs with silver water). Chinook Park makes perfect sense, as does Garrison Woods and Currie Barracks. Currie Barracks does a great job in fostering a sense of place by using historical names for the streets and with their banner program. At the west entrance is a huge memorial with bronze statues and plaques that share some of the stories that are associated with the site's rich military history. I challenge developers to invest a little more time and effort into naming condos and new communities with names that are relevant to Calgary’s history, climate, topography, flora and fauna. I would suggest engaging one of Calgary’s historians – Harry Sanders or David Finch - to help out with the research. In the inner city communities of many older cities you will often find old homes converted into funky shops and restaurants – places like Height/Ashbury, in San Francisco and Yorkville in Toronto immediately come to mind. While Calgary lacks the charm of a street of big old houses that have been converted into charming boutiques and bistros, there are some good examples of how old homes can become trendy places to shop and dine in Calgary. The best example would be the century old Cross House in Inglewood that has been converted into the Rouge restaurant. It is not only one of Calgary’s best restaurants, but in 2010 it ranked #60 in the S. Pellegrino’s top 100 restaurants in the world. Not many Canadian cities can boast a world class restaurant in an iconic home built in 1891 for heroic local citizen – A.E. Cross was one of the big four who started the Calgary Stampede. A good example of a house that has become a boutique is located in the Parkdale Loop. “Where you ask?” Parkdale Loop is the cluster of shops just off of Parkdale Boulevard on Parkdale Crescent NW. The cul-de-sac is probably best know as the home of Lazy Loaf Café. But, also on the Loop is Chateau Country Lace a popular women’s boutique that has been around for years in what looks like a mid-century bungalow. Another great example of a historic house that has become a restaurant is Laurier Lounge in the Beltine. This unassuming Tudor Revival house built in 1908 was the birthplace of George Stanley designer of the Canadian Flag. But for as long as I can remember, it has been a popular restaurant and lounge, know for its tasty poutine. Rouge restaurant in Inglewood, Calgary. Chateau Country Lace, Parkdale Loop. Calgary. Recently, I was driving to Marda Loop and in order to bypass the bustling traffic on 33rd Street, I slipped over to 34th Avenue and discovered a half-block of old cottage homes mixed with new two-storey shops that look like modern infills that are home to variety of interesting shops including an upscale tailor and two hair salon. I am convinced this is the future of inner city retail in Calgary. I am thinking the next evolution of inner city infilling could be like the 2000 block of 34th Avenue in Marda Loop with small shops that look like houses in scale and design being added to the mix of single family, duplex and small condo projects especially on busy transit corridors like Kensington Road in West Hillhurst. Cottage home in Marda Loop gets a new life as a business. Several cottage homes in Marda Loop that have been converted to retail along with a new two-storey modern home purpose built for retail. The city of Calgary’s vision is to enhance he walk score of every community in the city. This means more people walking to meet their everyday needs. If this is going to happen, it will mean the City will need to encourage the conversion of more inner city streets to become more like the Parkdale Loop, Marda Loop or the wonderful Britannia Plaza on 49th Avenue in Britannia. While some might complain the new businesses will add more traffic to their inner-city community, remember they will also convert some drivers to pedestrians and cyclists. And, don’t worry about your property values – Britannia, Parkdale and Marda Loop’s property values have skyrocketed because of their mix of residential with retail and restaurants. If we are truly serious about creating walkable communities we must allow for the integration of residential, retail and restaurants on the same block - not segregate them!